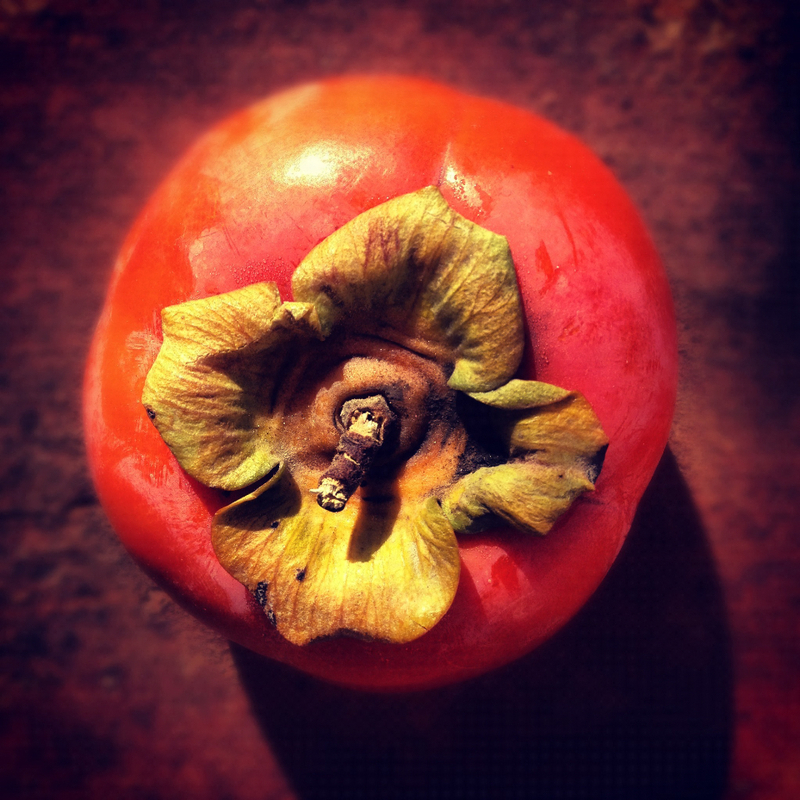 I love to use persimmons instead of tomatoes in the fall. The flavor is superb in salads, and their orange color is great for Halloween! Slice the persimmons into rounds 1/4 inch thick. Slice the cheese 1/8-1/4 inch thick as well. On a serving plate, layer the persimmon slices, cheese slices, and basil leaves alternately. Sprinkle the salad with balsamic vinegar, extra virgin olive oil, coarse salt, and coarsely ground black pepper.